We all love the taste of Chick Fil A Chicken Nuggets. 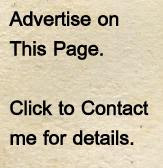 I have a personal version that I make at home which is my homage to their taste and style. 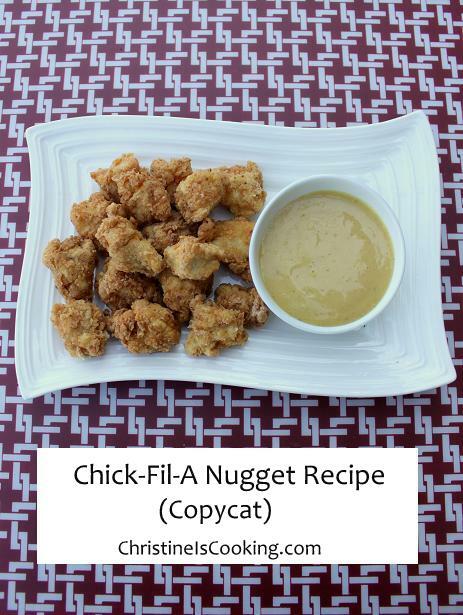 I have tried other Chick Fil A nugget copycat recipes and was disappointed, so I took the time to create my own. These are great for a family dinner or to make ahead of time for a party. This recipe has had rave reviews from kids and adults alike. We love them! (2) Cut your chicken breast in to small square-ish nugget chunks (I got about 20 nugget chunks for each chicken breast). (3) Stir together the flour, garlic powder, sugar, pepper, Old Bay, salt and breadcrumbs in a bowl. (5) Dip the chicken pieces individually into the flour mixture; shake off the excess flour. (6) Dip the chicken pieces individually into the egg mixture; shake off the excess egg. (7) With clean dry hands, roll the chicken pieces into the flour mixture (coat until DRY). (8) Cook the chicken in single layer batches (not touching) in the hot oil until cooked through; golden brown and no longer pink in the center (approx. 5 minutes depending on the size of your nuggets). I spray my fry basket with non-stick spray for each batch to ensure the chicken doesn't stick to it. These nuggets reheat nicely for a party. After cooking, place the nuggets on a cookie sheet to cool. Cover and refrigerate the nuggets until needed (1 to 3 days). Reheat them on a cookie sheet in a single layer at 325 degrees for 15-20 minutes. Serve immediately. (1) Cooking time varies greatly given the size and temperature of your chicken and oil. Cook a few test batches of 1 or 2 nuggets to find the correct cooking time. There is a fine line between fully cooked and overdone with these. When finding the correct cooking time, also consider if you will be reheating the nuggets later (i.e. cook them a bit less if you will be doing this). For safety, the correct temperature of cooked chicken is 165 degrees.